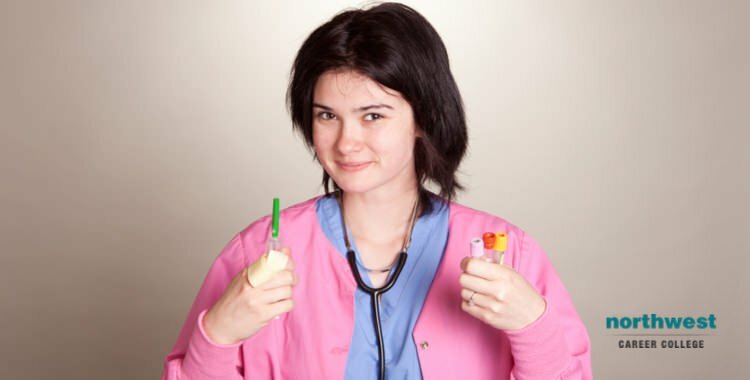 What Is It Like To Work As A Phlebotomist? 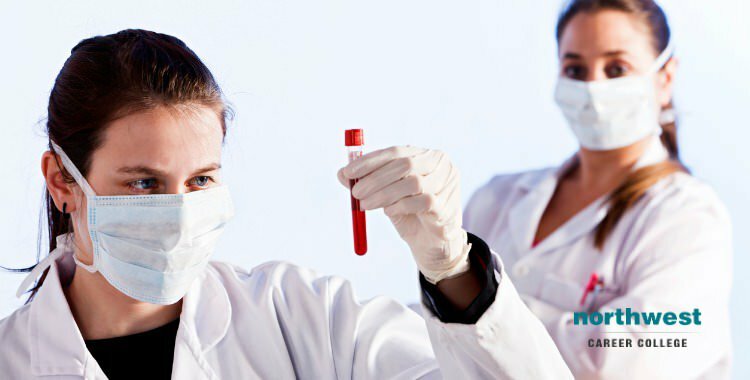 Phlebotomy is the practice of drawing blood from a patient and taking the specimen to the laboratory to prepare for testing. As such, phlebotomists draw blood from patients, a procedure known as venipuncture, for tests, transfusions, research, or donations. 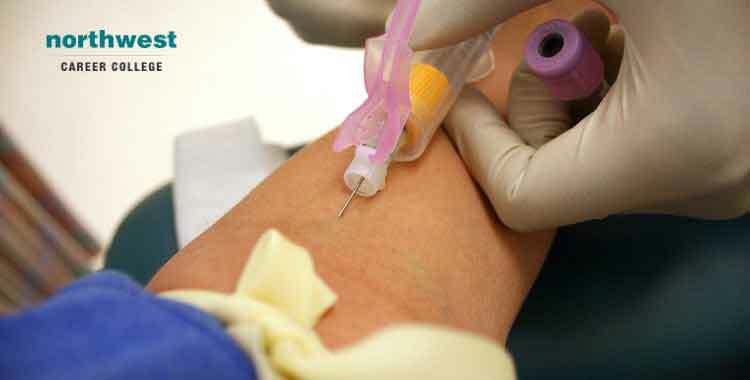 Most phlebotomists work in hospitals, medical or diagnostic laboratories, blood donation centers, and doctors offices. A Day in the Life of a Phlebotomist This is a general overview of a typical day in the life of a phlebotomist. 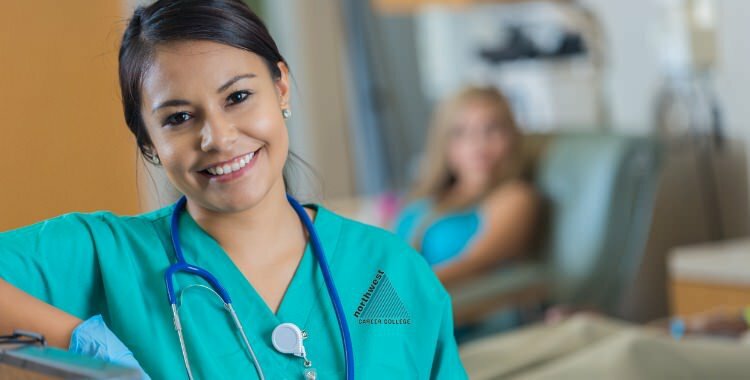 It’s important to note that this is only meant to give you an idea of what a normal day might look like, and..
Phlebotomy is a great starting career for those who want to enter into a career in the medical field to become a nurse, electrocardiogram (EKG) technician, medical assistant, and more. One of the benefits of a role as a Phlebotomist is the number of options available when it comes to advancing your career. Generally, these options include taking up a management or supervisory position or becoming a donor phlebotomy technician. You can also study for a phlebotomy specialist certification to qualify as a collections phlebotomy specialist, registered phlebotomy specialist or patient service technician specialist. Initial Training Getting your phlebotomy..
What Equipment Does A Phlebotomist Use? Blood drawing, or venipuncture, is a complicated medical procedure that requires expert tuition to properly master, the kind of expert tuition we offer on our Phlebotomy Program here at Northwest Career College. Aside from a steady hand and a good teacher, venipuncture requires the use of proper phlebotomy equipment in order for the result of any blood analysis conducted on the blood sample to be reliable. 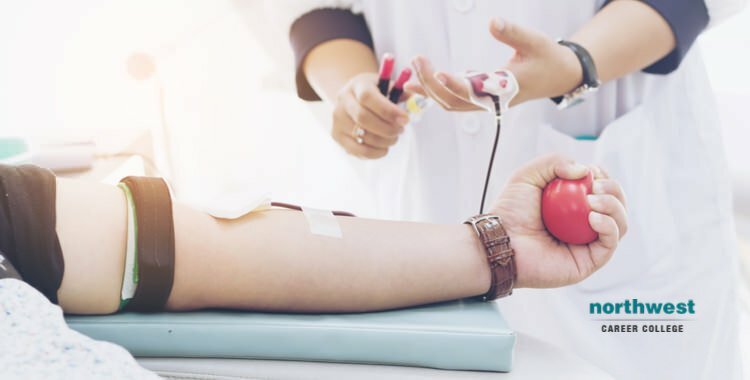 In this article, we will be looking at what tools and equipment a phlebotomist might use during a blood draw and what you can expect to be trained on when you enroll in.. Anyone who has ever had their blood taken will know the difference between a good and a bad phlebotomy technician, and it only rarely has to do with their ability with a butterfly needle. 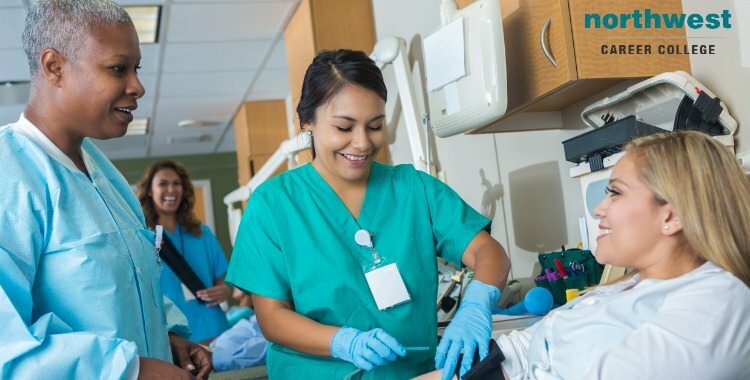 If you are thinking about training as a phlebotomy technician or are training as one and want to improve your interactions with your patients, here are the four traits every successful phlebotomist possesses. Steady Hands This might seem obvious, but in any career where you spend most of your time sticking needles into people’s arms, having steady hands is a real must. But beyond the..
As a practice, phlebotomy can present you with a number of challenges. Venipuncture is a precise and demanding activity which may cause your patient distress, discomfort or pain. You may have to deal with one of the 10% of people in the U.S. who have a crippling fear of needles, or patients who just have a natural aversion to potentially painful and invasive procedures. The pressure that the role of phlebotomist entials can knock you confidence, making the job even more difficult, especially if you have only recently qualified. The chances are that you will quickly learn to adapt to..
One of the benefits of a role as a Phlebotomist is the number of options available when it comes to advancing your career. Generally, these options include taking up a management or supervisory positions or becoming a donor phlebotomy technician. You can also study for a phlebotomy specialist certification to qualify as a collections phlebotomy specialist, registered phlebotomy specialist or patient service technician specialist. How Do I Become a Phlebotomy Specialist? One of the primary ways to increase your earnings and advance your career as a phlebotomist is to obtain additional qualifications and certifications. In order to specialise in a.. Responsible for drawing blood through a procedure known as venipuncture, phlebotomists take blood for tests, transfusions, research, or donations. Most phlebotomists work in hospitals, medical or diagnostic laboratories, blood donation centers, and doctors offices. 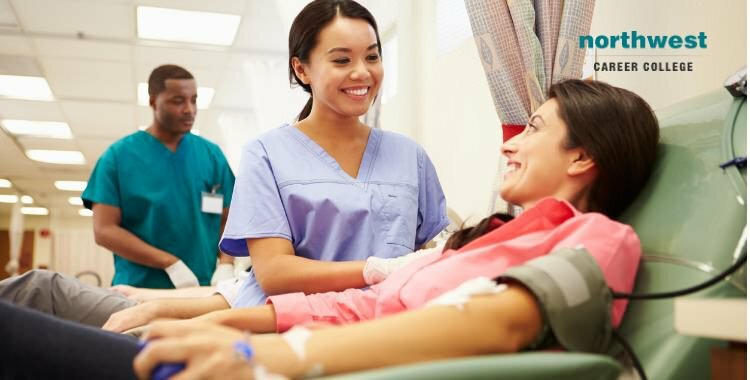 Working as a phlebotomist can be an extremely rewarding career, as you’ll spend your entire day helping people, but what does a day in the professional life of a phlebotomist look like? Starting Early Phlebotomists normally start their day early, around 5 or 6am. This is because they are responsible for ensuring that blood results are both consistent and accurate. In order to ensure this, they..
Hand hygiene is an essential part of the daily routine for anyone working in a healthcare environment. Cleaning your hands by using either hand washing, antiseptic hand wash, or using an alcohol-based hand sanitizer, including foam or gel, can help to prevent the spread of potentially deadly germs to patients and the risk of a healthcare provider being colonized or infected by germs acquired from the patient. This is especially true of phlebotomists, as their normal responsibilities include the drawing and handling of patient’s blood. Alcohol-Based Hand Sanitizer vs. Washing with Soap and Water As a general rule, alcohol-based hand..
What Are The Benefits Of A Career As A Phlebotomist? Phlebotomists represent a fundamental part of any healthcare practice, with blood draws being the most common invasive medical procedure conducted in U.S. hospitals. The drawing and testing of blood is also a vital link in the diagnostic chain, with laboratory results contributing to nearly 70% of all clinical decision-making. But, aside from the chance to make a real contribution to any medical practice, what are the benefits of a career as a phlebotomist? Primary Benefits Short Training Time: Here at Northwest Career College, our Phlebotomy Course can see students graduate in as little as three months. This short training time..